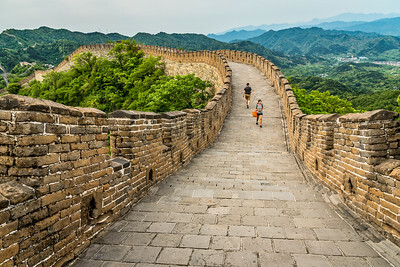 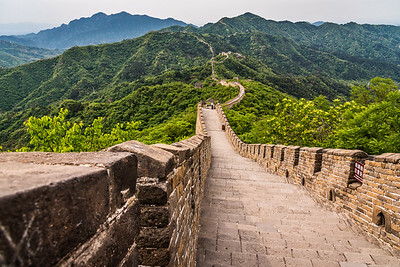 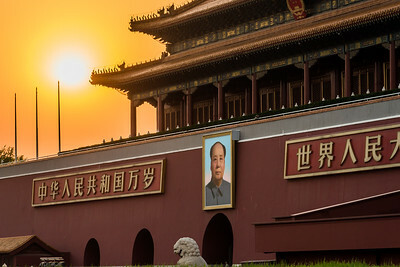 The capital of the People's Republic of China. 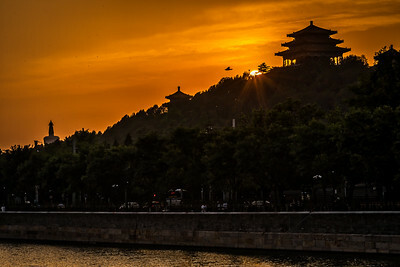 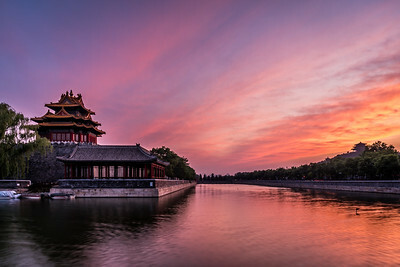 View of Forbidden City and Jingshan pagoda at sunset. 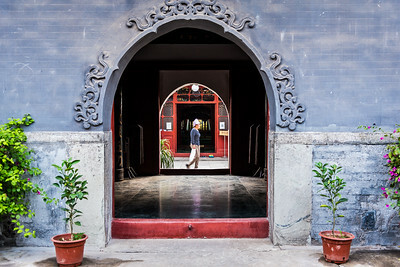 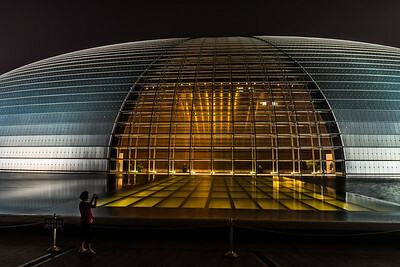 National Center of Performing Arts (NCPA). 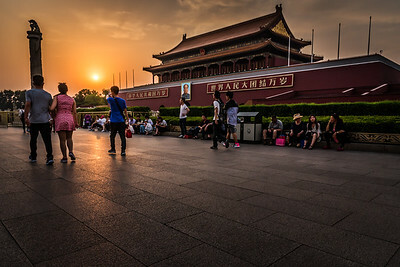 Sunset at the Gate of Heavenly Peace (Tiananmen). 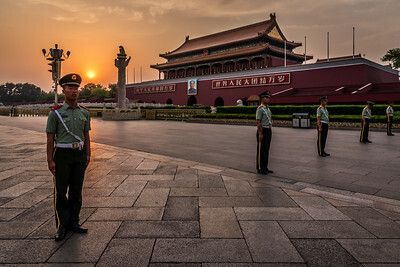 Sunset during flag lowering ceremony at the Gate of Heavenly Peace (Tiananmen). 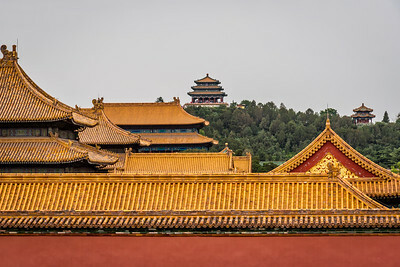 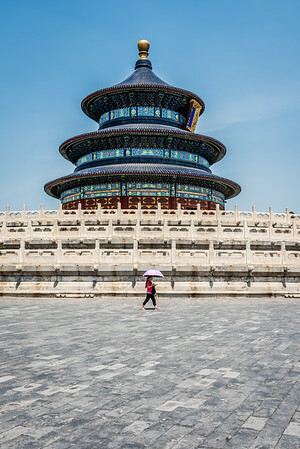 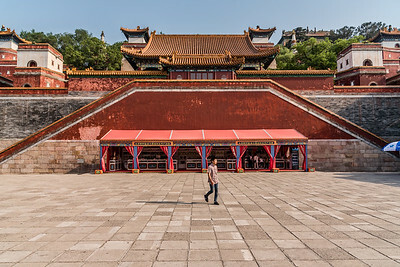 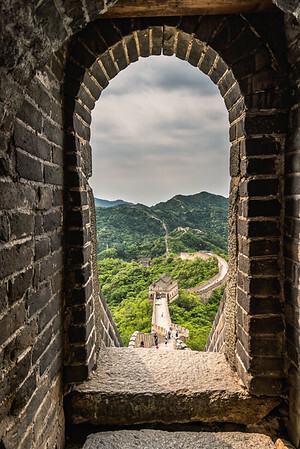 View of Jingshan pagoda from Forbidden City. 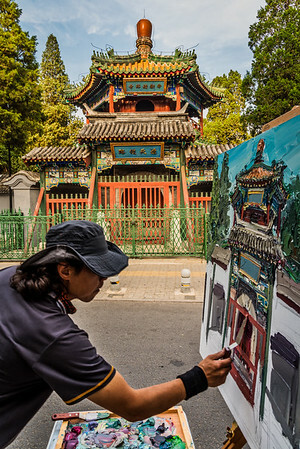 Artist at work outside Niujie Mosque at Ox Street. 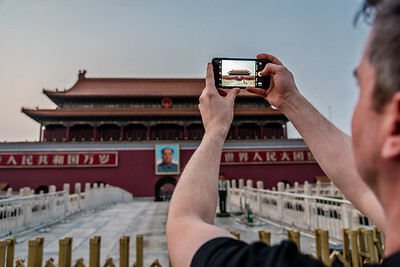 Tourists at The Gate of Heavenly Peace (Tiananmen). 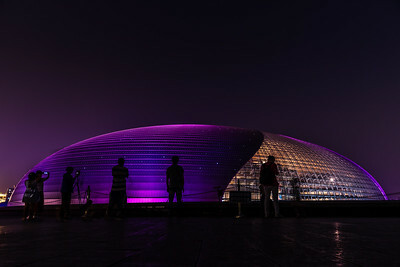 Silhouettes in front of The National Center of Performing Arts (NCPA). 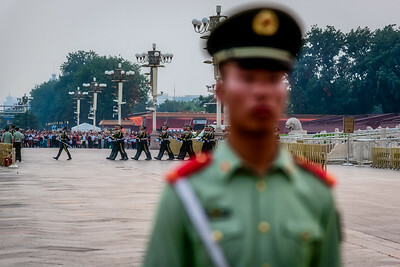 Flag lowering ceremony at Tiananmen Square. 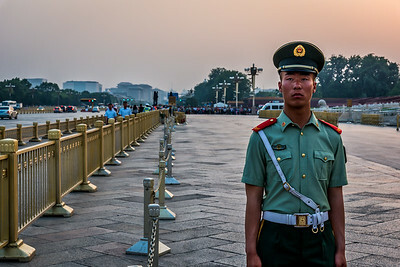 Standing guard at Tiananmen Square. 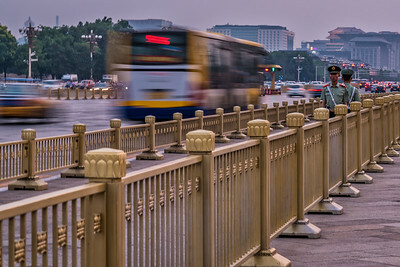 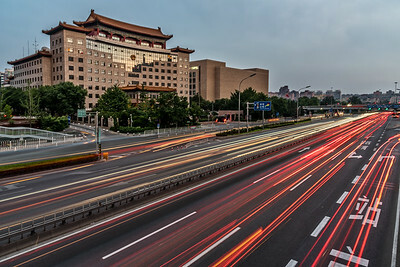 View of the Jing Du Yuan Hotel and the traffic on East 2nd Ring Road at dusk. 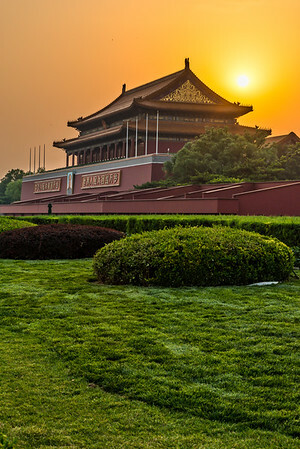 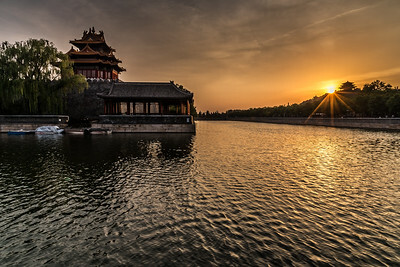 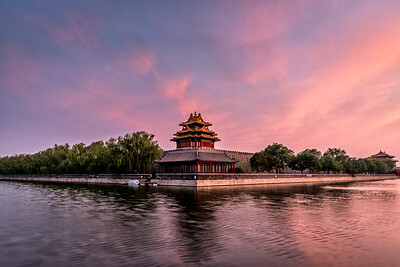 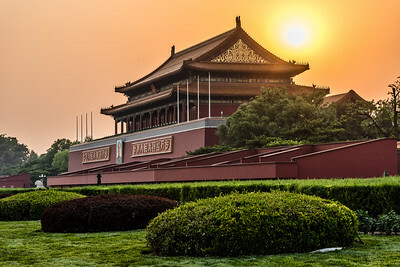 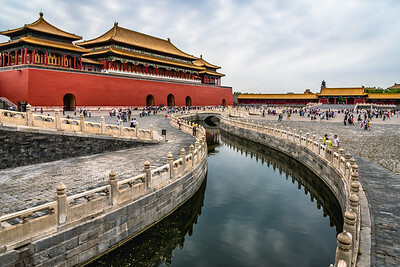 View of Forbidden City at sunset. 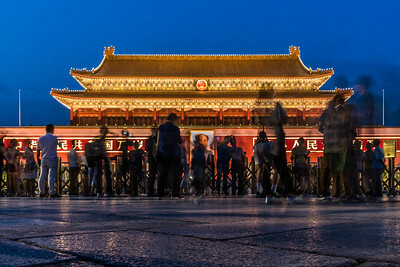 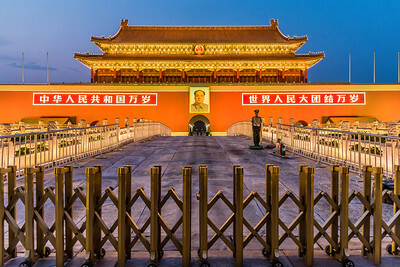 Capturing the Gate of Heavenly Peace (Tiananmen).